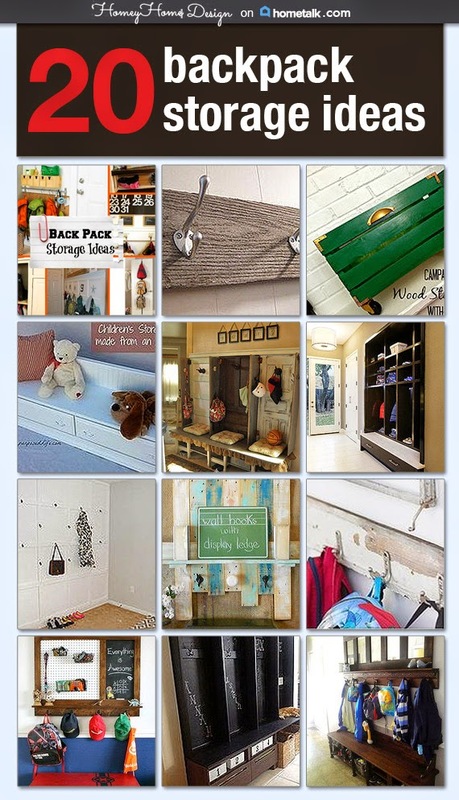 This week I've teamed up with Hometalk to bring you a bunch of great storage ideas for kids and their gear. I have four kiddos and I love them to pieces..........their stuff, not so much! So, I'm always on the lookout for great storage solutions that will work for our little cottage of a house. With these ideas in hand I'm hoping to create something out in my garage on the landing by the door. It will have to combine options to store backpacks, boots and all that snow gear! Thanks for stopping by! I hope you will check out my board. Leave me any ideas you've had that maybe I've missed!